Everyday Homemaking . . . My Review | My Journeys Through Life . . . Herding Cats In New Mexico! ← (Not Quite)Wordless Wednesday, More Freezer Cooking! My husband and I have been trying to come up with a chore system for our kids that would be divided up in a fair way. We have one son who is so OCD that he does more cleaning than anyone I know! We also have one son who is Higher functioning than his brothers, so he ends up doing things they can’t really do, like, if I am ill, he will cook supper, among other things. 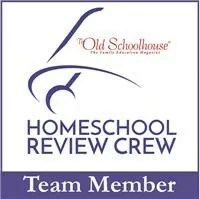 We hadn’t quite gotten around to creating our own system yet when I was offered the chance to review The Everyday Family Chore System ( created by Vicki Bentley) from Everyday Homemaking! We have four boys, and had planned to adapt this to have them all doing an equitable amount of the work involved in keeping the home going, but one has since been admitted into a residential treatment facility and will be away for a while. So we are in the process of revamping it for the three boys who are here. As you can see from the table of contents, this is not just a “chore chart. ” And, in reading her book, you’ll discover that she has created this from a definite Christian perspective. Note: This system is reproducible for family use by the original purchaser only. Submit to authority without rebellion. Work on skills and character (theirs AND ours). Work ourselves out of a job! Set up (and maintain) rules or standards. Tie our hearts to their hearts. In part two, we learn how to implement the plan. This one is hard for many of us, because it’s just easier and faster to do it ourselves, right? But . . . I remembered while reading this that when my first son was two, my mom came to get me for something. My son’s toys were scattered all over the place, and I began to put them back into his toy box. My mother made me stop and have him do it. When I said it would just make a long delay, she said “if he’s big enough to take it out of his toy box, he’s big enough to put it back in.” So, we sat there and toy by toy directed him to pick them up and put them away. And it worked, eventually he did it on his own. One of the important things the author brings up is that often our children think that they DID do the job they were asked to do, and they don’t understand why we say they didn’t, it’s because we haven’t taught them EXACTLY how to do that particular job. So, part of this book deals with actually working alongside the child/children and actually teaching them, step by step what is expected as a finished job. She has given suggestions for age appropriate tasks, possible schedules, and a variety of ways to actually implement the chore system itself, from cards on clothes pins, in pockets, on magnet sheets, etc, the idea being to have a visible reminder of what is to be done daily, weekly, etc. On the left is my neat-nick’s room, and on the right is the room shared by his older brothers. Obviously, we still have some work to do on the system! I do recommend this system for you. It’s easily used as is, but just as easily tweakable to suit your particular family. 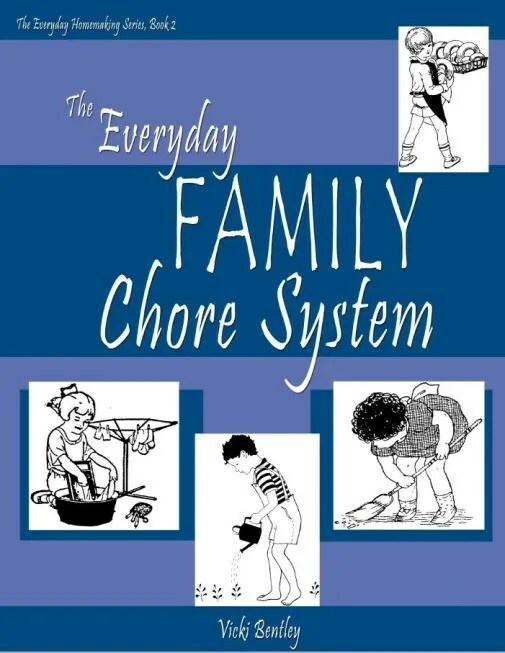 The print version of The Everyday Family Chore System is $19.99, the E-BOOK is $15.99. I am glad I have the E-BOOK, because I can just print out anything I need, whenever I need it, instead of having to have something copied from the print version. I have been given permission to pass along to all of my wonderful readers a discount code, which will expire on September 5th. You may purchase one or both books, and then apply the code TOS10books at checkout for a 10% discount. You may use it for print or E-BOOK. Jump on that fast, my friends!